This is a Rock Paper Scissors Dispatch on Mekaal Hasan Band, who are bringing their Punjabi prog-rock to Chicago on Monday, July 25, playing at Schubas. When they told pioneering guitarist Mekaal Hasan, the first Pakistani to attend Berklee, in jazz harmony class that you shouldn’t add certain notes to certain modes, he immediately wanted to do just that. When Eastern classical musicians in Lahore told him a certain jazz-inflected chord sounded wrong, he added an entire section to a song, just to highlight it. That defiant, exploratory spirit animates the Mekaal Hasan Band, on tour April-July 2016. 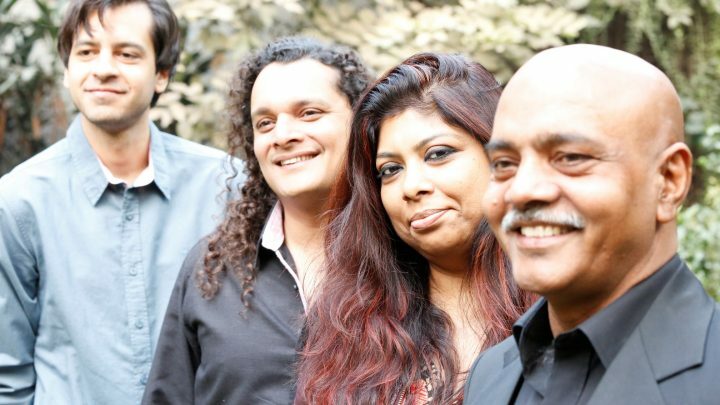 The group unites Eastern classical and Northern Subcontinental music concepts with Western jazz harmony and unflinching rock drive. Reframing centuries-old Sufi and Punjabi court poetry as smoldering, growling rock anthems, the band does the impossible: They honor tradition and often neglected traditional musicianship, while blowing open its sound and meaning. The band’s very lineup challenges constrictive norms and notions. It’s a rare confluence of artists from very different backgrounds, coming together in a culturally and politically fraught scene, in a country ambivalent about music and its role in society. Hasan collaborates closely and on equal terms with bansuri(bamboo flute) master Papu Ahsan, who hails from one of Lahore’s gharana(traditional music families), a move that few pop and rock musicians in Pakistan make. He invited a Bengali singer from Kolkata, the clarion-voiced Sharmistha Chatterjee, to sing lyrics written from a female perspective, exclusively by males–despite the contentious standoff between their homelands. The Indo-Pakistani group will bring their Punjabi prog-rock to New York, Philadelphia, Boston, Toronto, Chicago, Nashville, Atlanta, Bloomington IN, Dallas, and other cities in late spring and summer.